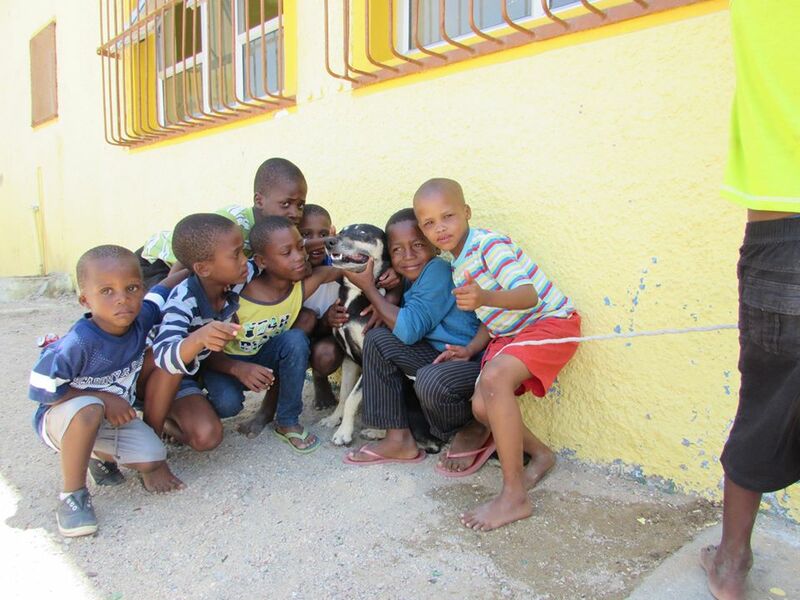 Have a Heart Namibia hosted spay/neuter and veterinary clinics in 2015 with help from a Cold Noses grant 108 animals operated were given a full vaccination, were treated for internal and external parasites and given a pain relief, antibiotic and multi-vitamin injection. All pet owners received a pet registration card detailing sterilisation, vaccination and treatments. Case Report: One of our favourite success stories from our Cold Noses funding is the case of Buchter (Buchter is the slang name for someone coming from Luderitz). Buchter's owner bought him to us during our January Spay Days, asking for help. Buchter was suffering from mange; he was itchy with sore bare patches of skin and generally an unhappy dog. We gave Buchter the full service; neuter operation, vaccinations, vitamin injection and parasite control treatment and sent him home to a grateful owner, with a bag of food for the night and a full medical record booklet. We were overjoyed to see Buchter again during our April Spay Days, and this time he looked like a much happier and healthier dog. He had a full coat of clean, shiny fur and had put on quite a bit of weight. We are happy to give him his booster vaccination and another treatment for ticks and fleas and watched as he happily followed his loving owner back home. site, I'll be visiting it. Do you do newsletters? Can not find it. Hello! Thanks for the comment. We do newsletters so far only via email...but if you are interested in that just fill out the contact us form and we will get you added to the list!